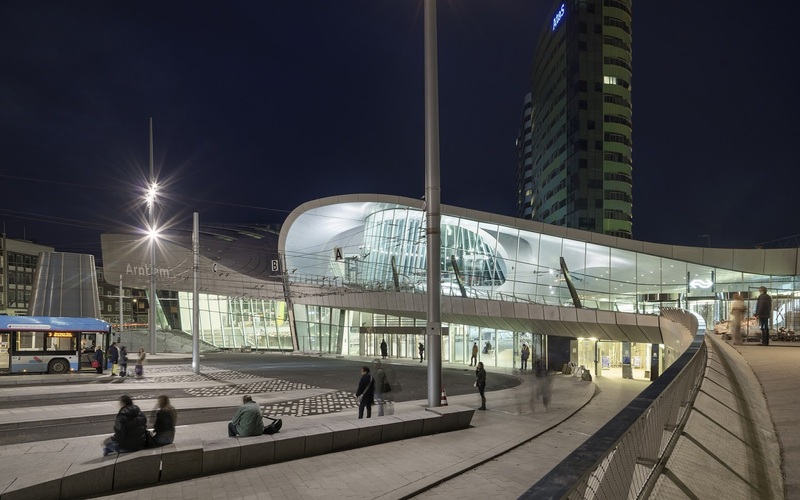 Arnhem's new railway station in the Netherlands officially opened last November. The masterplan includes a new transfer hall, a center for the waiting areas and facilities for trains, trams, and buses, as well as shops, restaurants, offices, and a conference center. Employing shipbuilding techniques, along with the expertise of the engineering firm Arup, the design firm UNStudio used few visible supports for the sinuous roof. The result is a vast, open space filled with natural light where the floor, ceiling, and walkways seem to melt effortlessly into each other. See more photos and read more in the Dezeen article (with video). The project spreads over history-making time. The original station is from 1845. The new design has been in development for 20 years. In 1998, Nuno Almeida, from UNStudio at that time, started this project with Rhino for the masterplan. He then continued it with RhinoScript and Grasshopper. Now for a quiz .... Whose designs are below? Photo 1 is the 1962 TWA Terminal by Eero Saarinen. Photo 2 is a rendering of the Arnhem station by UNStudio. Photo 3 of the Arnhem station is by Ronald Tilleman. 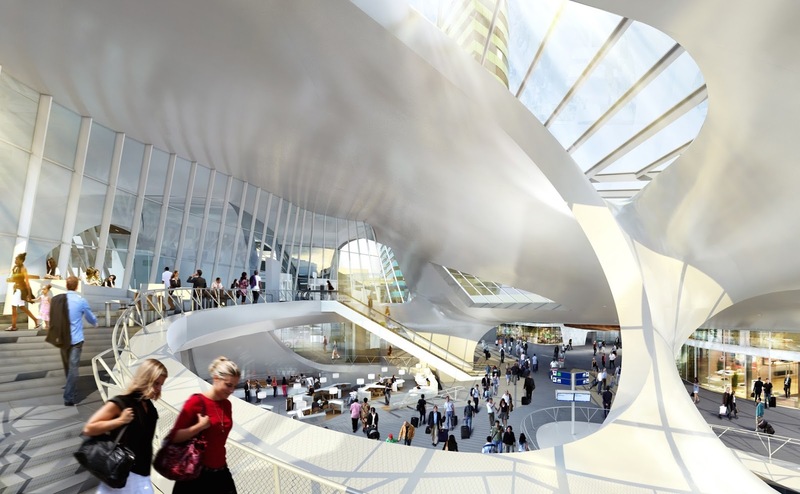 UNStudio did a fabulous job of modelling Arnhem Station. Nuno and many of his UNStudio colleagues that worked on this project are true masters of modelling advanced free form geometry with Rhino. But did you know that many of the other parties involved have used Rhino too? 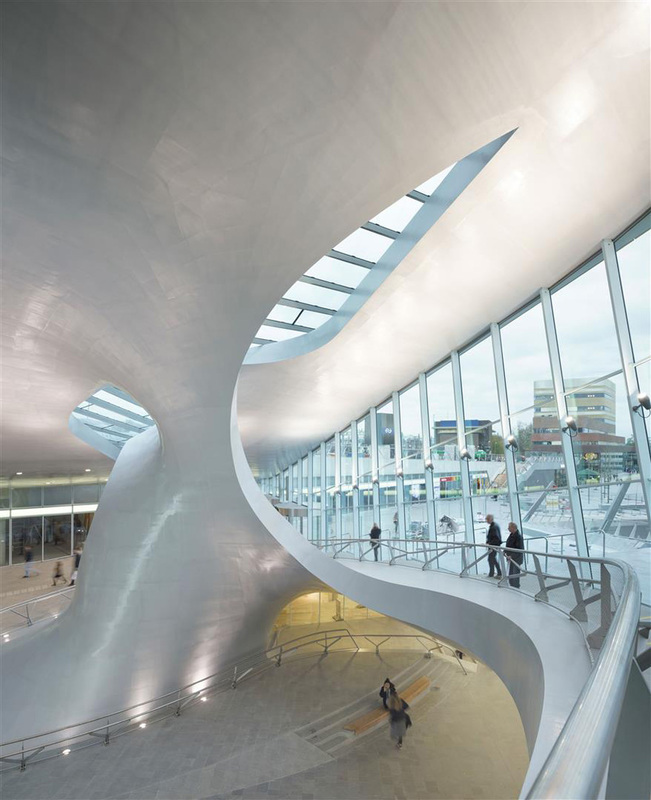 For example the structural engineers at Arup and BAM have developed all kinds of advanced routines to transform the geometry to structural models and the steel contractor CentraalStaal also is a heavy duty user of Rhino to engineer their production. If you are interested, a number of papers have been published at various conferences (amongst others at IASS2015) and journals or contact me.